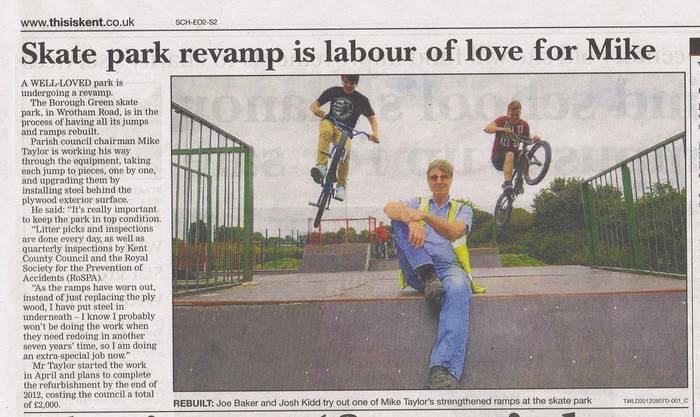 In 2016, I was told about a personal attack on me on Change.org and Facebook, which was shortly followed by an article in the Sevenoaks Chronicle . This highly alarmist article is just plain wrong - there is an ongoing program of repairs - this is a hard-used facility. I can understand people wanting change, but there are better ways of achieving that than attacking the one person who might have helped. As Expected, once the blowhards realised just how much work is involved in bringing a project as big as this to fruition, they faded away. 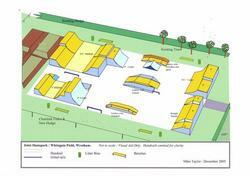 My apologies to our Skatepark users who had their hopes built up about a new facility. 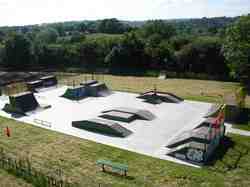 We have a good skatepark here, and it is well maintained. It may not be West Coast, but its a whole lot better than an old pallet in a carpark. 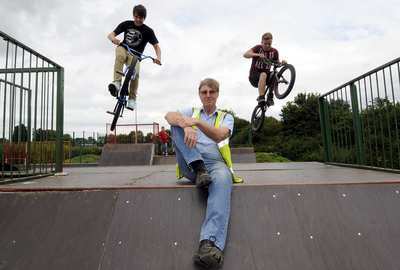 In 2003, a group of skateboarders who had been involved in building their own Youth Club decided that they needed a good skatepark, to save travelling to local large towns. 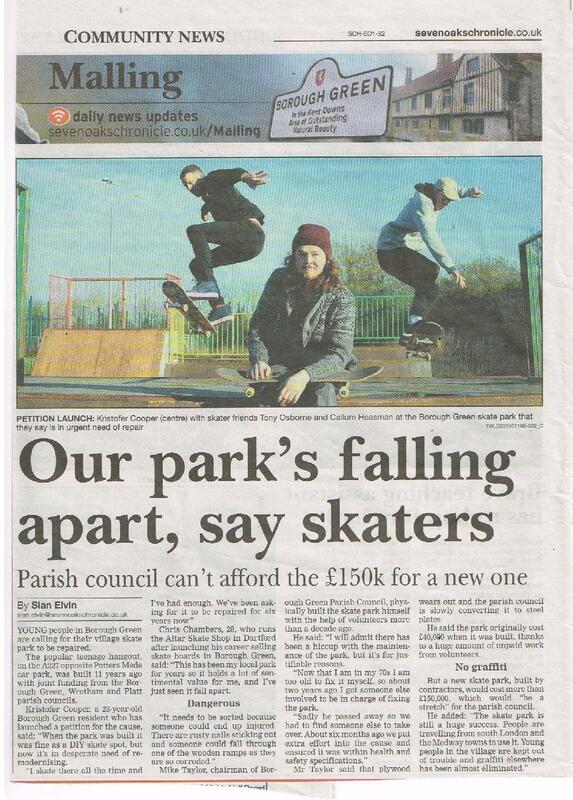 They organised a petition to the Parish Council,who with two other Parish Councils and the Borough Council obtained funding, and built the park in the picture. This size park would have cost £120K to £140K by going down the normal route: but by begging and scrounging help, this park was built for £40K. It has passed all its Structural Engineering tests,Health & Safety Inspections, PAS35 and BS EN 1176, and has now been open for six years, with not a SINGLE INCIDENT OF VANDALISM. It is also very noticeable that because Graffiti is allowed, even encouraged at the skatepark, the incidence of vandal graffiti has all but disappeared in the villages. The Plan below was Version 10, a collection of sketches on scraps of paper, that was initially built into a model using blocks of wood and card, and "fingerskated" to check it worked. We then drew this plan on Microsoft Word! Amazing what you can do using a bit of patience!